Ballet to the People caught the final night of the Royal Ballet's curious mixed bill that seems to have been programmed by the ancient dart-throwing method. 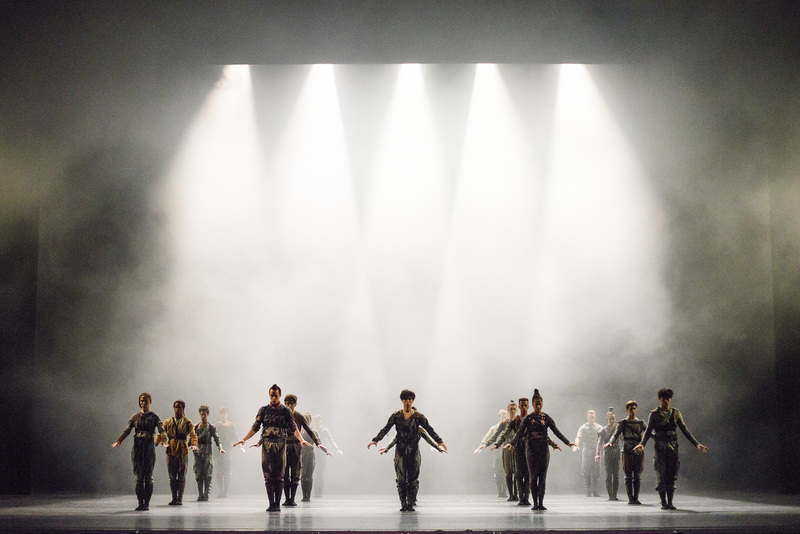 George Balanchine's iconic The Four Temperaments set a high bar for the rest of the evening, followed by a much-anticipated new work by Hofesh Shechter. And a 65-minute closer, which violates the rules of programming evenings of dance - except that it's Kenneth MacMillan's Song of the Earth, set to the sublime Mahler song cycle, Das Lied von der Erde. Tuesday night's performance of Four T's was not as uniformly bracing as generally seen across the pond, though Robert Clark on piano and the Royal Opera House orchestra under Barry Wordsworth gave a crisp account of the Hindemith score. 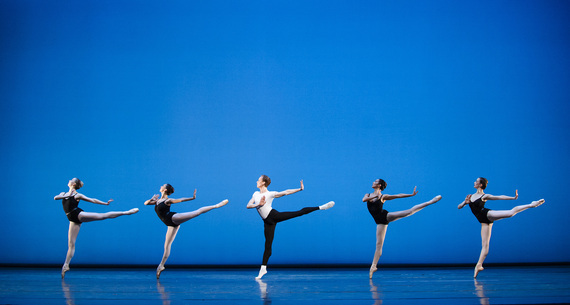 Apart from the stupendous Itziar Mendizabal, who blazed through Choleric like a fighter jet, this cast did not push the off-balance work to the extremes that make Balanchine's 1946 riposte to classicism so exciting. Still, there was much to admire, starting with the sweeping shapes Claire Calvert made with her legs, the poetry of Matthew Golding's every move, the expert partnering by all the men, and the razor-sharp style and aplomb of Lara Turk's dancing - even after her pointe shoe ribbons came completely untied. Turk did not dial down her performance at all, and managed to keep the shoe on and the flying ribbons from tripping her or any of her comrades. The irresistible Vadim Muntagirov radiated the angst and despair of a war-ravaged generation in Melancholic better than any of the current crop of New York City Ballet dancers. But he and they all dance in the shadow of Bart Cook, who reigned supreme in this role through the 70's, and, after him, Peter Boal. Eric Underwood dispatched the Phlegmatic variation with elegance - and a vexatious habit of curling his toes under when pointing his feet. 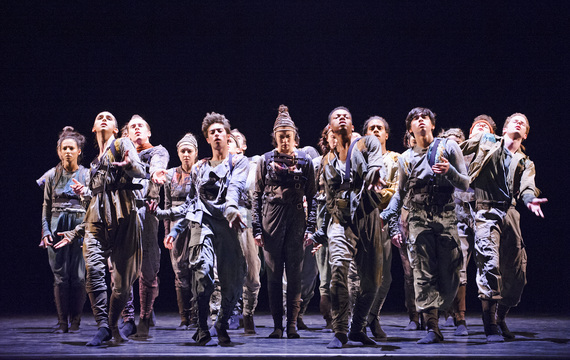 Pointed feet were not called for in Hofesh Shechter's Untouchable, which placed 20 of the company's soloists and corps dancers in costumes vaguely resembling combat fatigues, and in dreadlocks and other nifty hairdos rarely seen on an opera house stage. This was Shechter's first commission for the Royal. Unlike the overtly political, in-your-face work he has made for his own company, he has given these ballet dancers an exciting new vocabulary without anything to say. The first few minutes of the ensemble moving as one squadron, their unison staggering, slouching and prowling in a dusty gloom proved riveting. The next two minutes less so. At the end of an eternity (program notes claim it was only 30 minutes), this writhing, grunting mass of humanity completed their exertions and left unanswered the question "Why?" Hints of Eastern European folk dance, of Omani-style bullfighting, fits of Sufi whirling and chest-slapping, packaged without any dramatic arc, lit by a Trekkie ("beam me up, Scotty"), did nothing to enlighten the situation. The American reality television competition So You Think You Can Dance is littered with countless examples of this style of dance, dubbed 'combat jazz' by Sonya Tayeh, one of the show's most popular choreographers. The SYTYCD format limits these pieces to about 90 seconds, which is about right when you don't have a story to tell or a mood to convey other than belligerence. That the highly trained athletes of the Royal Ballet can master this style should come as no surprise; the real surprise is that Shechter, known for his spine-chilling innovation, failed to exploit the rest of their considerable gifts. The thumping score with Middle Eastern overtones was written by modern Renaissance man Shechter, in collaboration with Nell Catchpole. Voices started chanting what sounded like holy syllables in a Middle Eastern tongue; when her date whispered "they're singing Nigel Farage" it meant nothing to Ballet to the People. Until she tuned in to the BBC election debate on Thursday evening and got a full dose of the right-wing politician's toxic fumes. Still, it was hard to take any of this seriously, when the thought of an American composer creating a score for a ballet around an incantation of the name of Texas Senator Ted Cruz just cracked her up. Pairing Untouchable with MacMillan's 1965 Song of the Earth only diminished the power of both. 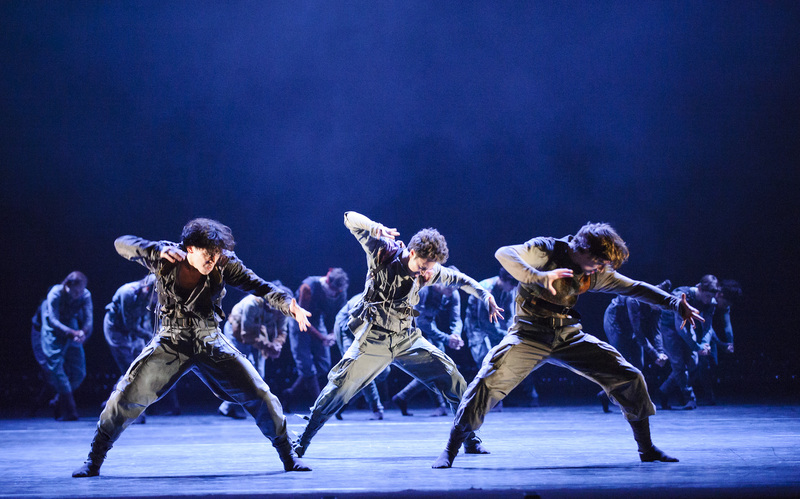 The MacMillan, with its lack of bombast, looked stylistically quaint, and the Shechter even more devoid of meaning. But, like a sturdy clean-up batter, Song of the Earth came through. MacMillan created a shimmering world and indelible characters, a community stalked by an ever-present Messenger of Death, danced with quiet menace by Edward Watson. Watson eventually tears the trusting Nehemiah Kish from the lovely, dignified Laura Morera, whose journey from hope to anguish, and finally to acceptance, is marked by captivating gestural expressions that bridge mime and pure dance. 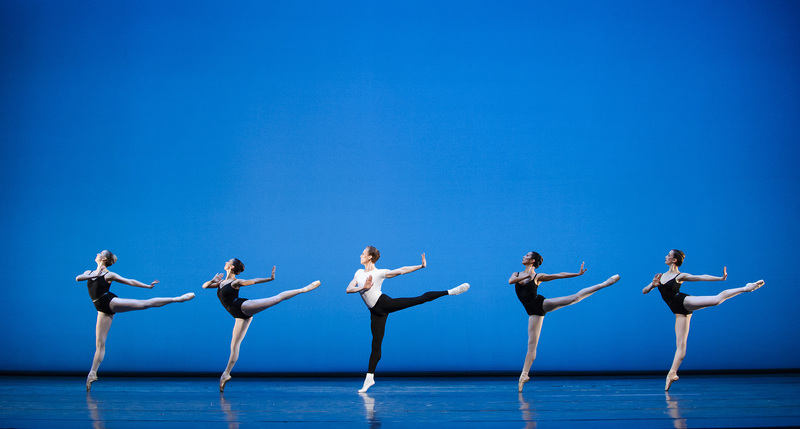 The ballet is replete with taut, finely chiseled images of abstract beauty, that also serve as visual metaphors. A group of dancers seated on the floor, with legs extended, magically become a sea, or a ship. Women gliding smoothly over the ground assume the form of angels. Hoisted effortlessly into the air by Kish, Morera stretches and arches her back, high over his head, poised in a perfect balance in his hands - an archer's bow, or a crescent moon. The faintest hints of Chinese influence in movement and shape echo the ancient Chinese poetry that inspired the Mahler song cycle. The entire work is a marvel of austerity and restraint, even as it evokes intense emotion. It's a tricky business programming mixed bills, and taking risks with new choreographers is essential. Hofesh Shechter may have been uncharacteristically risk-averse in his first outing at the Royal; should he be given another shot at these tremendous dancers, Ballet to the People hopes he comes prepared to unleash his full artillery.